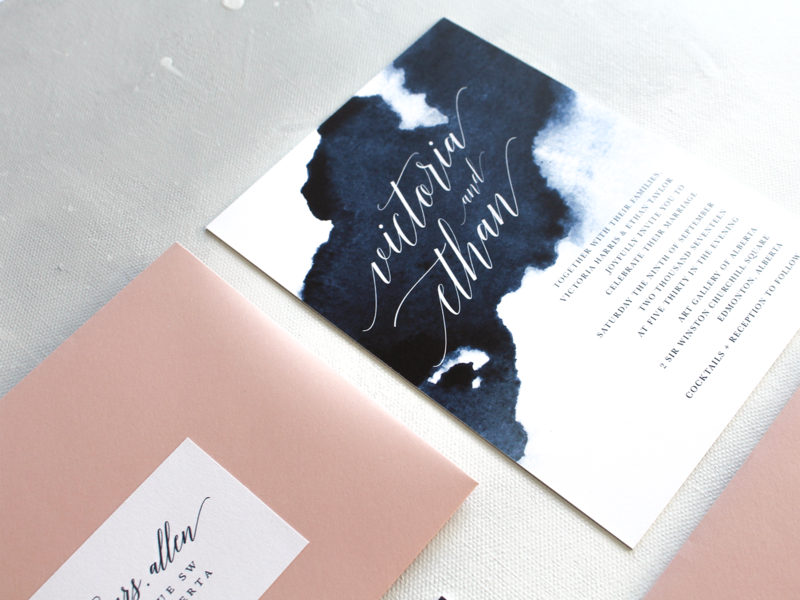 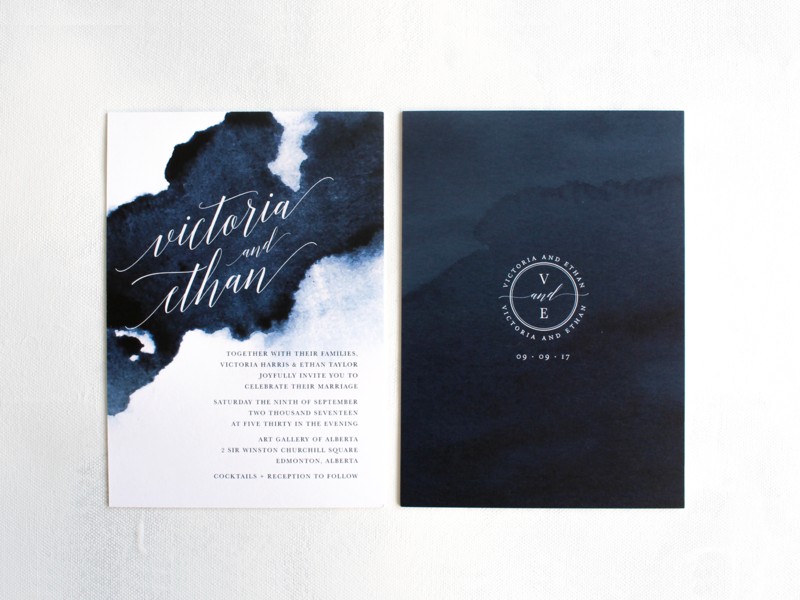 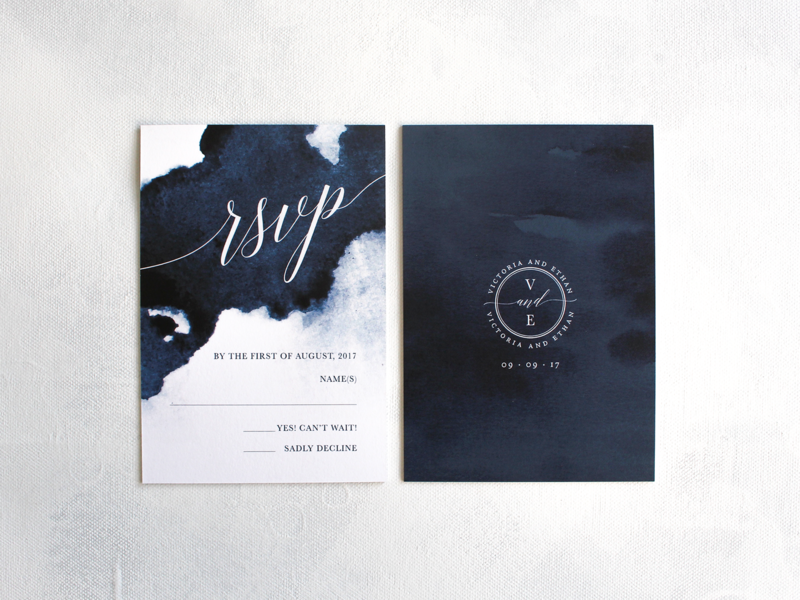 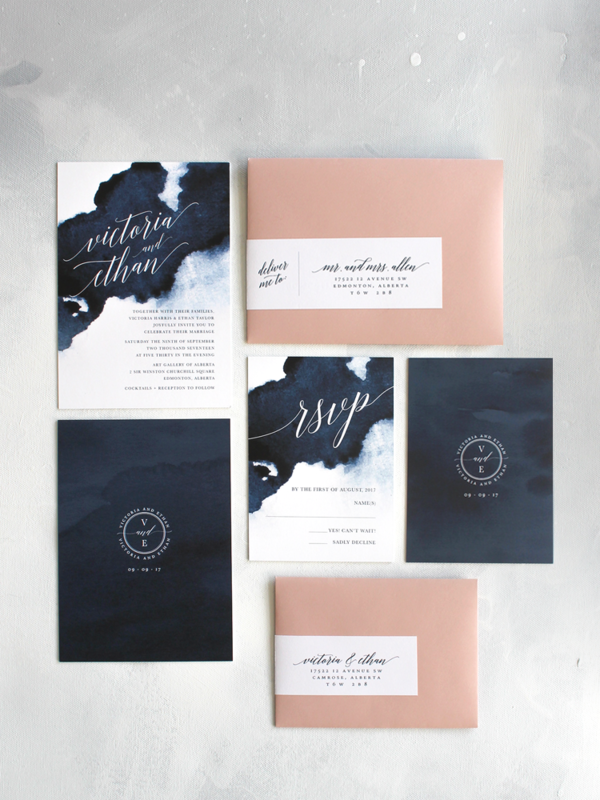 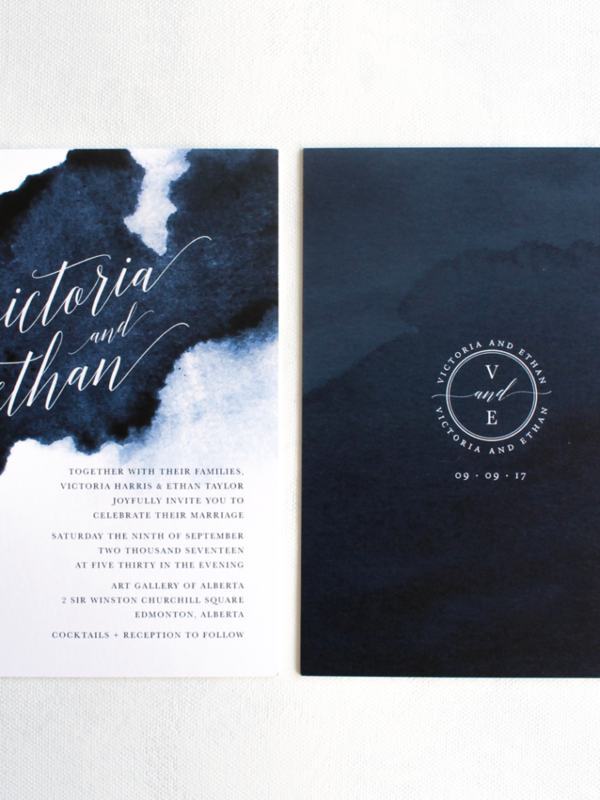 The Victoria Suite features deep blue watercolour textures and beautiful modern script. 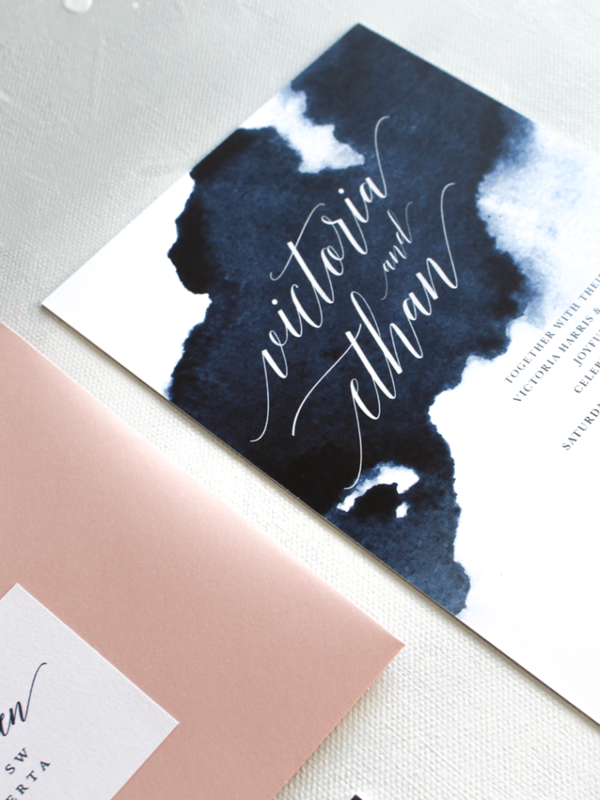 An elegant monogram adds the perfect finishing touch to this design. 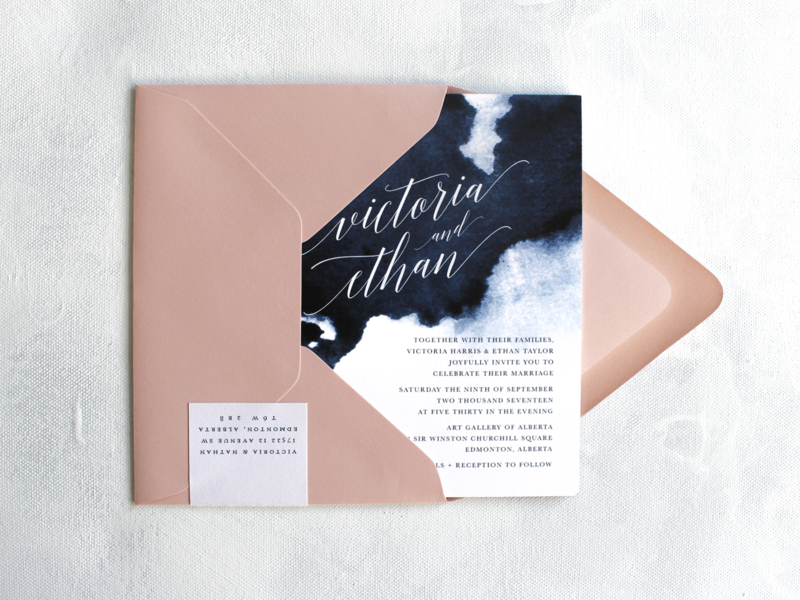 All pieces from this suite are printed on luxuriously thick Mohawk Superfine paper stock and come with classic European pointed flap envelopes in navy or cipria. 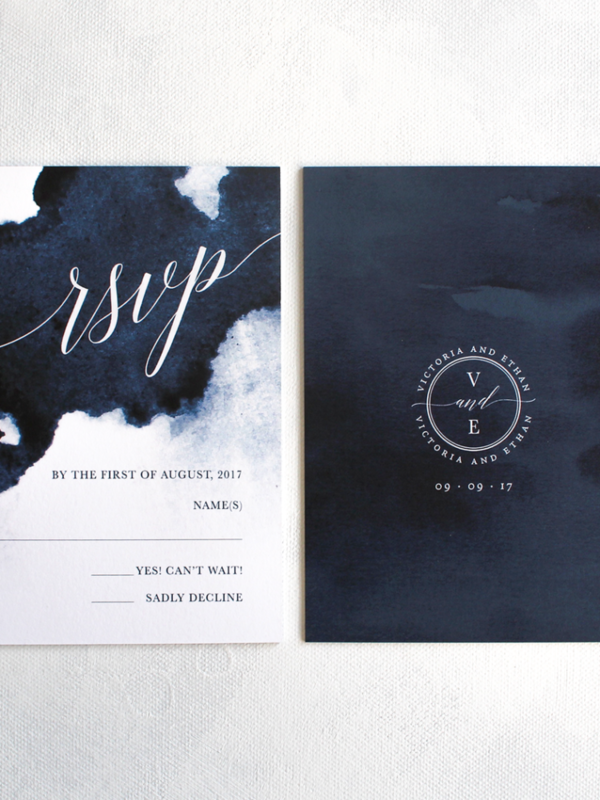 These invitations can be customized for your wedding day or special event. 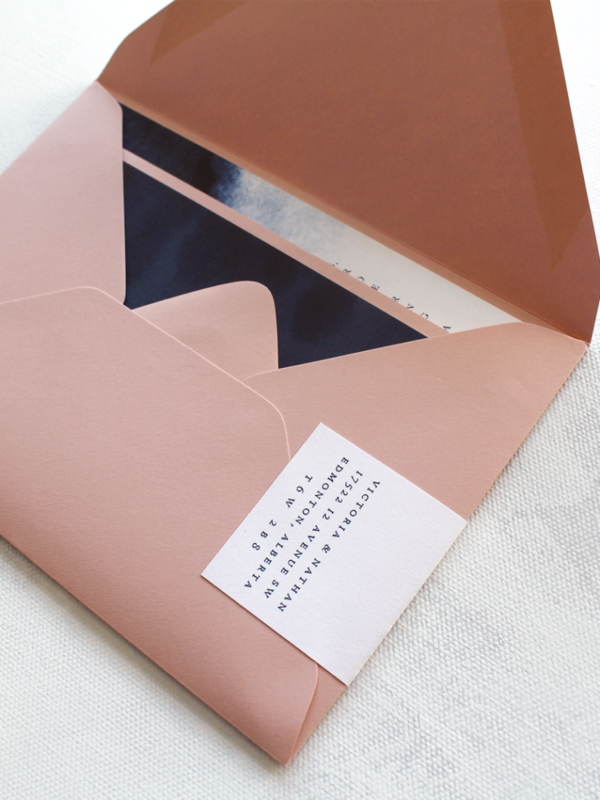 The design and layout of the text, however, will remain the same. 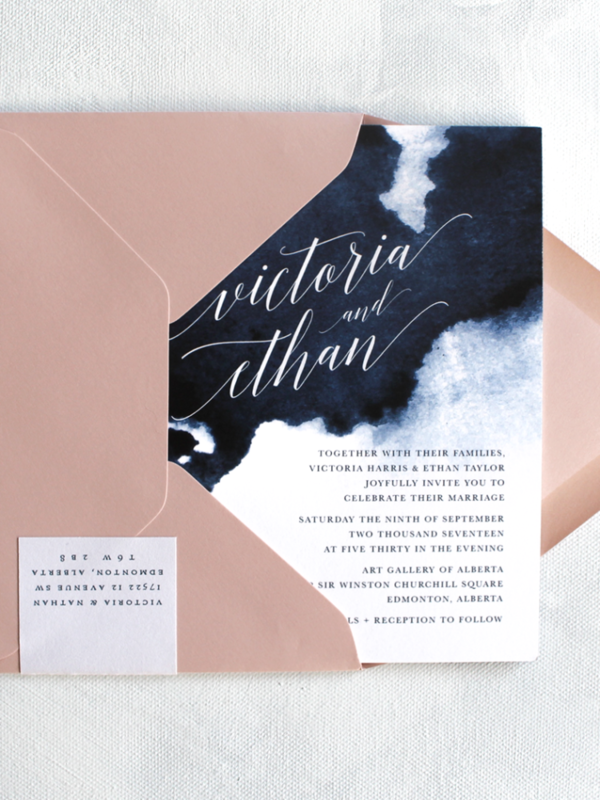 For more information on the process and timing, please see our Invitation Guide. 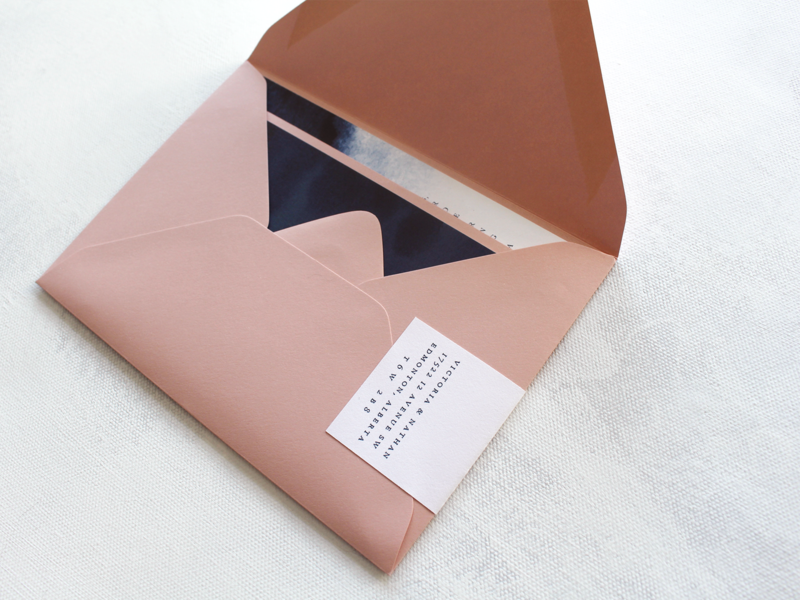 Invitation Information Form to submit your content. 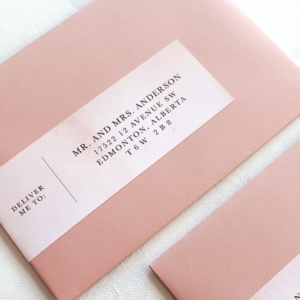 Note: Envelopes do not include postage.